Running a sushi restaurant is no cakewalk. With very high prices on virtually every sushi menu, it’s easy to imagine the owners bathing in a large tub of money. For most, the reality is much less glamorous; most sushi restaurants fail within five years, many operate near cost only one small event away from ruin, but a select lucky few reach financial success. However no sane person opens a sushi restaurant to get rich. 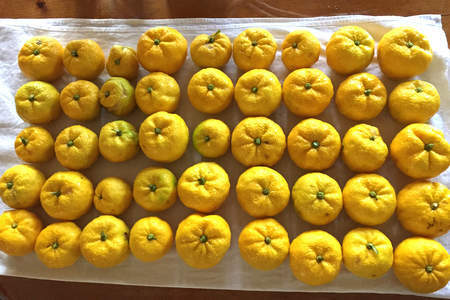 It is usually done to further the family business, continue a tradition, or out of pure passion for the craft. 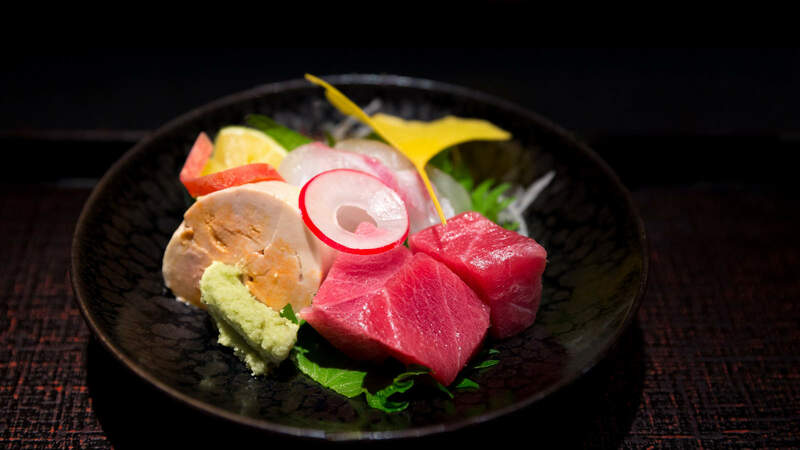 Many Asian restaurants offering inexpensive sushi and sashimi options take a loss on those items, with the profits from more mass-produced cooked items offsetting those losses. However the overwhelming worldwide popularity of sushi makes it an attractive marketing option to keep on the menu. This begs the question: what makes sushi so expensive for both the consumer and the restaurant? Surely someone is making a profit somewhere? With all things relating to our food supply chain, the answer is...complicated. Sushi tends to be expensive, yes, but that does not make it a profitable enterprise. The margin on sushi and sashimi is pretty good for the restaurant industry, but not nearly as good as one would expect. Customers perceive sushi to be a very expensive product, which allows restaurants to price their menus accordingly. Generally this is not done out of greed, but the need to derive profits from somewhere to stay in business. Prices reach equilibrium at what the market will tolerate. This varies across region, seasonality, and major events such as algal blooms which restrict supply. Of course not all fish makes it to the plate. 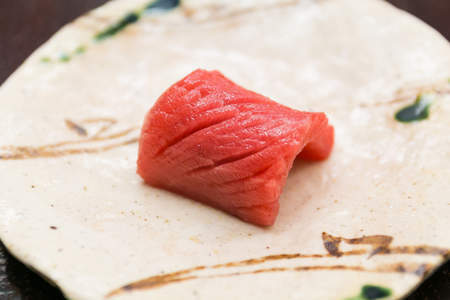 Sushi’s requirement for very fresh raw fish requires proprietors to perfectly predict demand. Unfortunately this means tossed product on slow days. 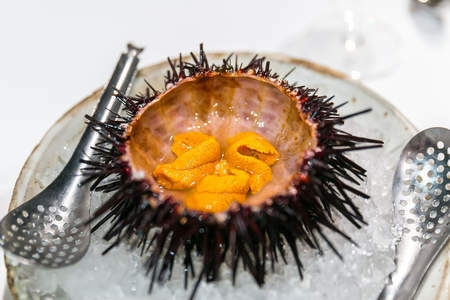 Restaurants more concerned with price than quality might still serve their fish which has turned a bit funky, which is why you often get what you pay for. Reputable sushi chefs would never think to serve even slightly spoiled product. In fact one valued skill of sushi chefs is knowing how to push back against suppliers who try to sell them sub-par fish. Spoilage losses similarly drive up costs for the restaurant and, consequently, prices for the customer. 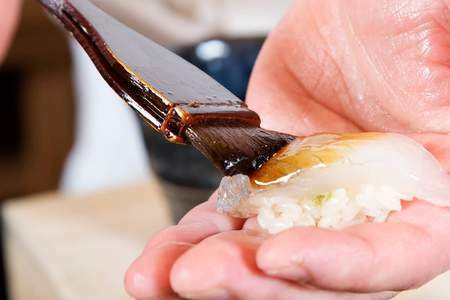 The best way to learn sushi skills remains long-term apprenticeships. If apprentices must spend five or more years under a chef, that drastically limits the pool of skilled labor able to work in sushi restaurants. It also means those skilled workers must be more highly compensated. Even general managers of sushi restaurants make more on average. Sushi chefs usually make within the range of $30K to $70K per year, which is a higher ceiling than your standard sous chef. These indirect costs hurt net margin, so the difference must come from higher prices. As expected, fish sold for sushi tends to be more expensive than fish sold for cooking, about 25-50% more. Just like the retail market, part of what drives this is perception. The wholesalers charge more because the market allows it and has lower volume. But the bigger driver for raised wholesale prices is the special handling required for fish intended to be eaten raw. 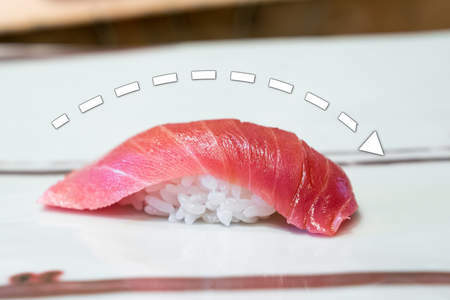 The FDA mandate is that all fish intended to be eaten raw (except tuna) be flash frozen, which usually happens on the boat. From that point forward, the quality degrades from inconsistent freezing and refrigeration. Suppliers must maintain expensive equipment and efficient supply chains to offload their fish as quickly and efficiently as possible. Sushi fish providers must also work in smaller volumes and benefit less from cost savings due to economies of scale. All of this trickles down to sushi restaurants buying this specially-handled fish. The emphasis on quality ingredients from real wasabi to rice to vinegar requires that all ingredients must be the cream of the crop—with a price tag to match. As discussed, sushi fish and ingredients come at high cost, but are also inconsistent throughout the seasons. Prices must reflect the worst of times; wholesale may be low today, high tomorrow. Restaurants can’t change the retail price as frequently as wholesale suppliers or customers would be outraged. This is why many traditional and high-end sushi-ya will not list prices and it’s left to the chef to work within a customers’ budget. 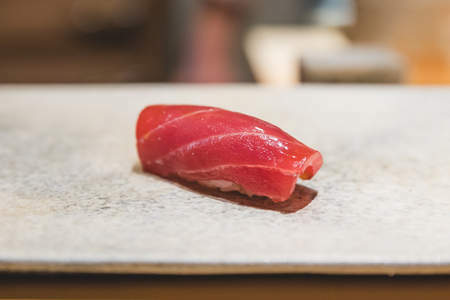 The modern trend is for sushi restaurants to adopt a “prix fixe” menu called “omakase” traditionally, which is usually on the higher side.